Today, the focus in marketing is clearly digital. It seems that everyday we are introduced to a new channel that we can use to get our message out to potential customers. Luckily, marketing analytics platforms like Google Analytics and the data provided by CRMs has enabled marketers to implement “closed-loop” marketing strategies to connect all of these different channels to convert valuable online data into strategies that lead to better sales. What about tracking conversions that don’t come from a website, like inbound phone calls? What if your digital strategies are driving valuable leads to your site but then they pick up the phone and call you instead of converting online? How do you track that and ultimately close the loop and give credit to the marketing activity that drove that call? This offline side has traditionally been data-poor. There’s a hole there that you’ve got to close so that you can fully understand your customer’s buying cycle and what motivates them and drives them to make a purchase. Call tracking will enable you to integrate your offline data with your digital data to understand which campaigns are working and which aren’t. Call tracking enables you to see which of your marketing efforts are bringing in calls. You can get multiple phone numbers (one for your website, one for a PPC campaign, one for a mail-out, etc.) then integrate those into with your website dynamically while passing the data along to your customer relationship management system or analytics platform to see what efforts are really driving sales. As a result, you’ll know your customers better and close more leads, and help bridge the gap between your marketing and sales teams. You can even serve up different numbers on your website depending on what channel drove that visitor to your site. A visitor from organic search would see a different number than a visitor from a PPC campaign. You could even get more specific and assign different numbers to different ad groups within your PPC campaign. With call tracking you can utilize 800 number tracking for sales as well as get local numbers. When a visitor calls any of your tracking numbers, your regular phone number rings just like normal. Some popular call tracking analytics platforms include CallRail, Marchex and Invoca. In addition to seeing what marketing channels are driving the most calls (and ultimately sales) you gain additional insights from call tracking analytics. 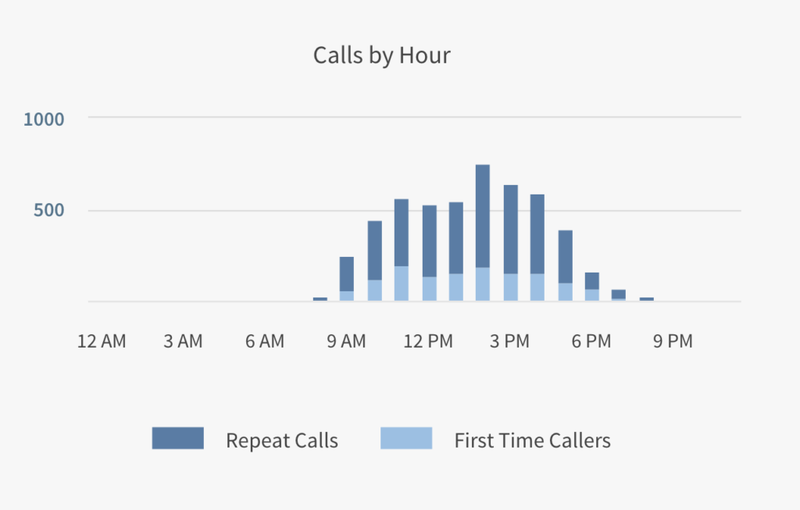 These include seeing how many calls went to voicemail versus how many were answered, average length of call, and time of day you get the most calls. You can even record the calls so that you can go back and listen to them. This is great for improved sales training where you can learn from opportunities and make suggestions to your sales reps on things they perhaps could have said or done differently on the call. In the marketing-sales relationship there is often a battle. Sales doesn’t think marketing is driving enough quality leads and marketing doesn’t believe sales is closing the leads they are sending. Call tracking analytics could be the tool you need to help improve that marketing vs sales relationship. We have a client that sells through national and international sales distributors, and their reps were complaining they only got a couple calls a week. Both us and the marketing director thought that didn’t sound right. We had developed a rep locator on the site where visitors enter their zip code and get the contact info for their local sales rep and we knew people were using it. So why weren’t they calling and why weren’t sales as good as they should be? We then implemented call tracking and the data showed some interesting things. We were actually driving a lot of calls. However, for many of the reps, a large percentage of the calls were going unanswered. With other reps, they were missing out on some really large potential up sell opportunities and missing some key questions they should of been asking the prospects. These were discovered by listening to the call recordings. By having this data, marketing was able to hold the reps more accountable for the calls they were receiving and the sales manager was able to provide additional training to make the reps aware of some situations they were not fully taking advantage of. At MODassic, our goal is to help you develop successful marketing strategies that motivate customers and drive sales. If you’re interested in setting up a call tracking system and further integrating marketing and sales, we’d love to chat!